A tiling job at home can be as simple as replacing a cracked or loose tile, dealing with crumbling, mouldy grout or as complex as re-tiling a floor, applying a new splash back or taking on an entire shower wall. I tackled all of the above in my latest renovation and I want to encourage you to have a crack a too. Here are my best tips to save on time, money and physio bills. If you’re tiles are damaged tiles you don’t need to start fresh and knock them all off the wall. 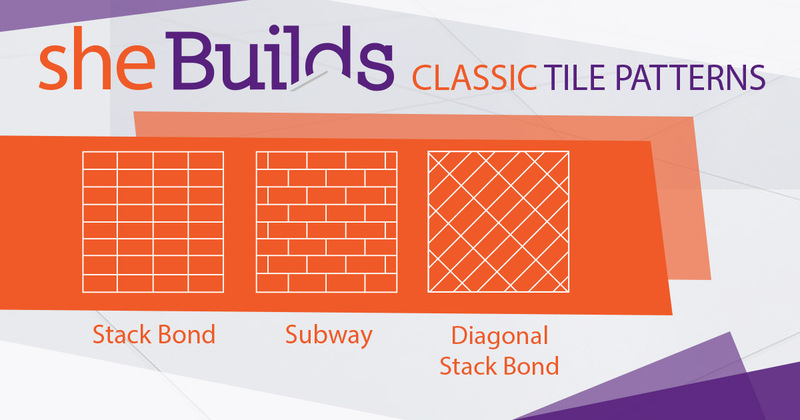 Take down the tile measurements, or if you have a loose one, take it into Bunnings or better yet a specialty tile shop. Don’t worry if it’s not the exact same shade of canary yellow or butter cup blue. There is a nifty tile paint (as long as you are happy with white) you can use to make them all the same. It covers everything, even mission brown tiles. Starting fresh? Go for big tiles. The smaller tiles are easier to do yourself but they are so fiddly and there is way more opportunity to get your lines out of whack. Keep in mind you may need a second set of hands for some assistance with wall tiling when you do go big. I thought I was being economical because I found 1.6m2 of someone’s excess floor tiles online and I needed 1.6m of floor tiles! Wow, fate right? I ended up having to buy four boxes of different tiles at Bunnings. I hadn’t allowed for the wastage that occurs when you tackle tricky corner cuts and just to allow for generally being a novice. Tiling tools and materials – what do you really need? You’ve got the tile selection down but what about everything else? Here is what is in my Tiling Toolbox. I used the Davco and White Knight products in my first tiling job. I am sure there are other brands but they worked really well for me. So how long does a tiling job take and was it worth it? Two shower walls, about 3m2. Waterproofing – 1 hour to apply the waterproof compound including fiddly bits at edges but then at least another full 24hours to dry properly. Tiling on the bathroom and shower walls – 2 days of labour (cutting and laying tiles) plus a day of drying time after I grouted. Tiling of bathroom and toilet floors – 1 and a bit days(could never quite finish in a day!) cutting and laying tiles and a day to dry then probably only like a half a day to grout and clean up. So that was about 3.5 days** plus another 2 days of ‘drying’ time. Was DIY tiling worth it? Not sure, because I never did get a quote for a tiler to do the work and I don’t have an actual handle on what I should estimate my own labour at. Do I feel more capable and confident? Yes. Did it make the tradies peer in the room and ask if it was the first time I had done tiling? Yes. Would I do it again? Yes, only with a proper tile cutter. **My days are a bit shorter than a standard tradies as I tend to get to site at about 9am after seeing kids off to their nanny at 8:15am and I had to leave by 4pm. New grouting is something that we have been looking to do, or repair our current tiles. I like the idea of doing something new, and 2 days of labour, if we can do it in the same time as you, does not sound half bad. Thanks for listing your experience and project, as it is something that we will be doing soon too.